Look carefully at this photo. 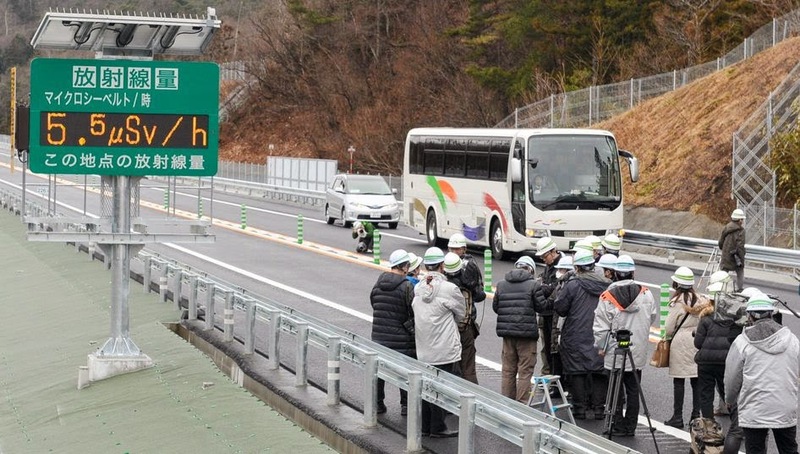 The green display is designed to show the amount of radiation along Japan's newly-opened Joban nukeway. Readings on 17 Feb 2015 were 5.5µSv/h (microsieverts per hour). Notice anything odd? No higher reading than 9.9 can be displayed. Convenient? Maybe the 5.5 pictured is actually 25.5 or even 95.5µSv/h -- the display has no 10s or 100s columns ... Good design?